LA gets a playoff game, as the Falcons vs. Rams Wild-Card matchup kicks off Saturday night of opening weekend for the NFL post-season. Is it a little surprising? Why yes it is. The significant leap forward demonstrated by this franchise has been very impressive. From head coach Sean McVay, to Jared Goff’s breakout, Todd Gurley’s resurgence and the stellar play of their defense, there were feel-good storylines all over for LA. Now they get a taste of playoff action, facing an Falcon team that battled a Super Bowl hangover all year, needing a Week 17 win to secure an invite to play beyond the end of the regular season. As opposed to last year, that saw Atlanta roll into the Super Bowl, they struggled with inconsistent play from the start and will now need to win three straight road games to book another trip to the big game. But looking at this week’s opponent and the road ahead in the NFC, it’s not overly difficult to see this Falcon roster accomplish just that. For the most part, the offense is the same group that led them in 2016 and their defense is solid. 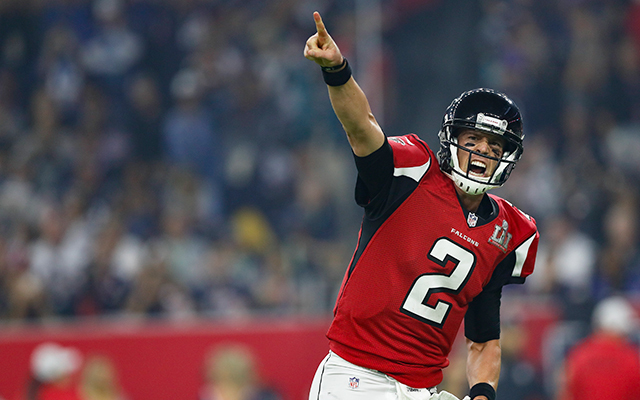 QB Matt Ryan was a machine in last year’s playoff, posting a mark of 9TDs with 0 interceptions. He didn’t shine during the 2017 regular season, but he is a very good and very experienced QB, with familiar pieces around him. I expect us to see a Matt Ryan that resembles the one from last year’s playoffs, more than the Ryan who had his ups and downs this past Fall and winter. Atlanta should be able to move the ball on a Ram D that will give up yards on the ground. And with an offense built like the Falcons, if they establish a running game, they can really take advantage of a secondary, as the defense makes adjustments and needs to respect the run. The Falcons have a good running attack and a passing attack that requires attention. I like Atlanta to be able to move the ball, while doing enough on defense to contain the Ram offense. I’ll happily take the points on an underdog I think has a good shot at winning straight up. Check out the sports betting forum at Everyedge for more picks and great discussion about all the NFL games.